for the pretzels and bagged them 5 to a bag. – go visit them for more GREAT ideas! That is SO CUTE! 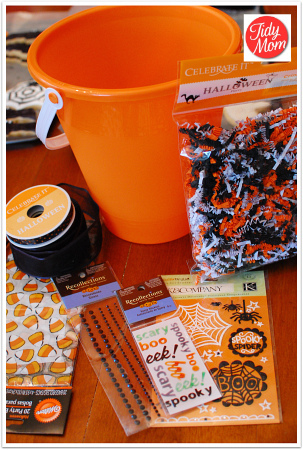 And I love that something that looks this awesome can be made using 40% coupons at the craft stores. Thanks for the inspiration! 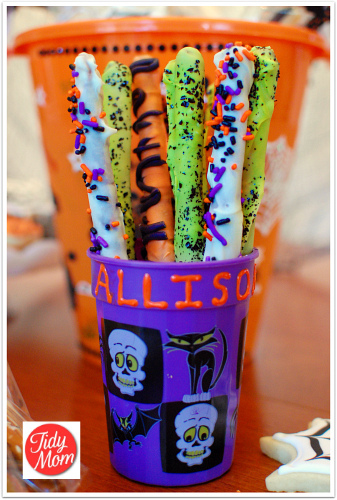 Dipped pretzels are such a great Halloween treat idea! And a bucket of treats is way better than store bought candy. Thanks for sharing! Oh my goodness. Those are so cute! You did a good job! So darling I LOVE everything! I think they will love this. Great idea to “boo” the neighbors with too. That is a wonderful idea!!! Gonna use this for grandchildren s well!!! so cute! I love the bucket!!! What a fantastic thank you gift! So creative, fun and personal… So you! Love this! Thanks for the great idea on dipping the pretzels – I would have never thought of the wax paper tip. 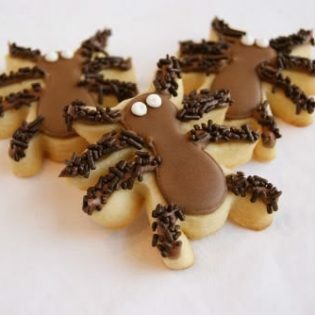 I love the caramel idea as well! You are awesome! If I let you come to my home and shoot pictures on my property will you promise to bring me a bucket just like this and filled with all your goodies? My door is open LOL. 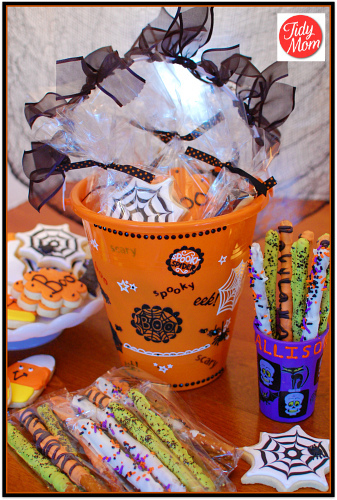 Great decorating of both the buckets and the treats. What a lovely gift. looks adorable and SO fun for kids! Cheryl, this is just too darn cute. Makes me wish I had small kids again, or better yet, wish I could go back and do my childhood over (with cute stuff like this). Just look at that cute bucket of treats! I’m sure those lucky kids went WILD for it! Speaking of Michaels, I picked up a package of long plastic bags especially made for dipped pretzel logs (one log per bag). Used my coupon, of course!